The brake pipe is standard 6mm copper piping bought from eBay. 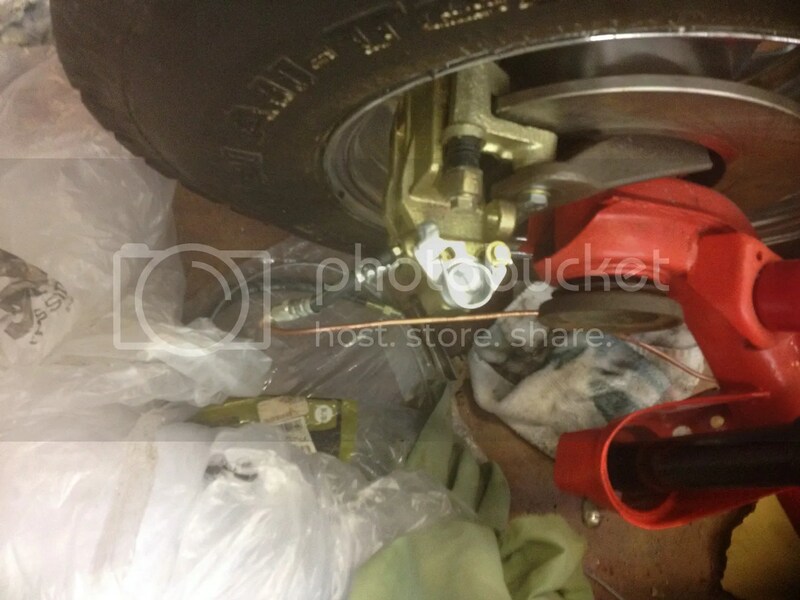 To secure the pipe to the frame, double and single clips were also sourced from eBay. The pipes have to be routed down the frame and it was decided to run these underneath the trike. So I started by laying in the pipe from the calipers to the rubber hose connection on the IRS. I then moved on to running the pipe from the front of the trike underneath the vehicle then around to the Tee piece where the rubber hose is connected. It all sounds so simple, but having to drill into the frame to mount the clips and creating a straight run for the tubing is incredibly difficult as well as creating bell and rounded ends for the pipe work. This pipework is run up the A arm of the IRS to the original disconnect point. from here a rubber pipe runs up to the Tee piece and from here runs forward to the foot controls. 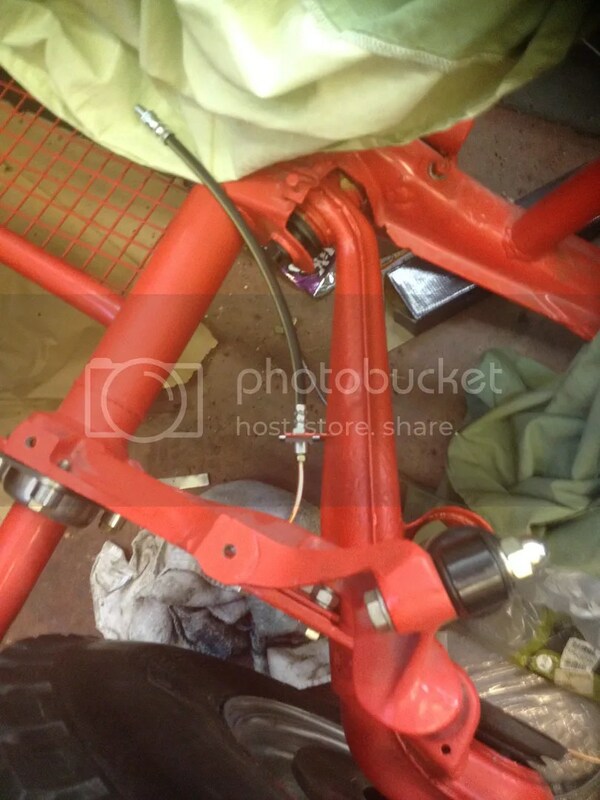 The Brake pipe is then run from the back at the torque tube forward to the foot controls at the front of the trike. from here its connected to the master cylinders. I decided to use independent braking for each wheel, this is because there is a double Kelsey Haynes master cylinder.These units could be used for running the front and back brakes simultaneously, but I have a Harley hand control to add to the handle bars which will be for the front brake. Next up will be the front end and the new tyres going on.